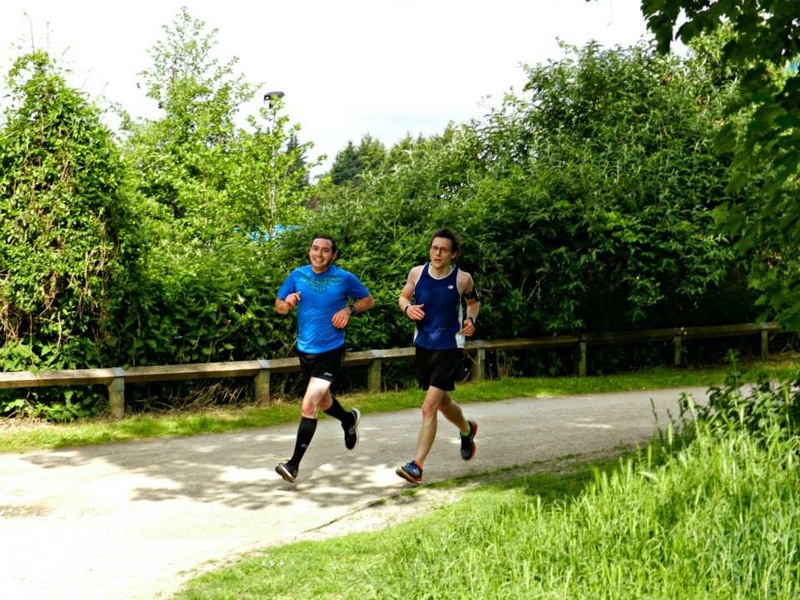 I'm having a bit of trouble writing at the moment, so instead of going into loads of detail about event 42, I'm just going to make a few notes and add a few photos. Matilda came over to help set up the course. We took some chalk to decorate the course. 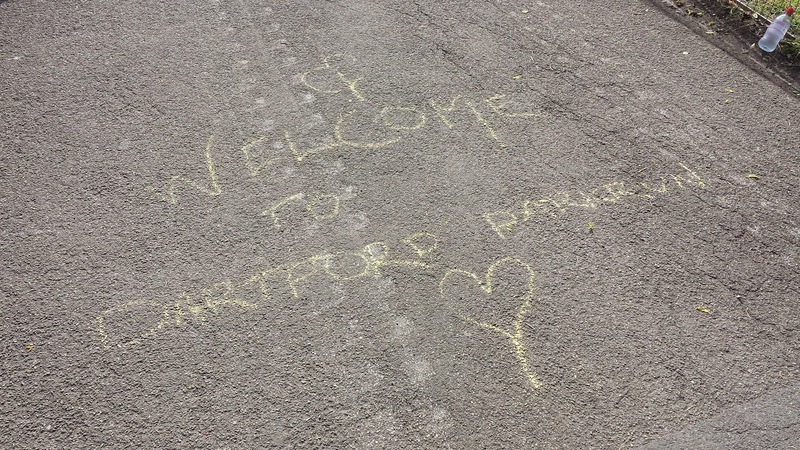 We used the chalk to welcome people to Dartford parkrun. We also used it to mark some of the kilometre points. I was going to wear my parkrun 50 shirt for the run, but it felt pretty hot and I changed into my singlet. I ran the entire event with Adam. 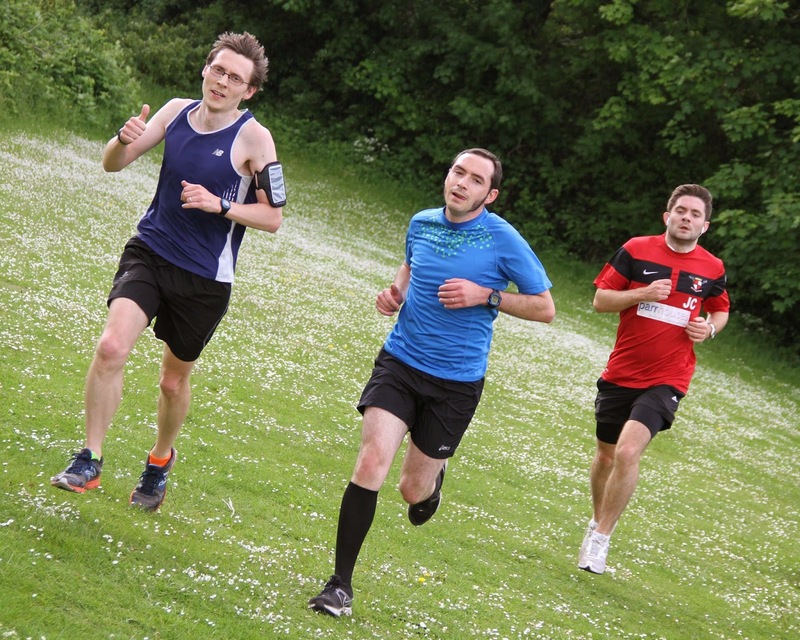 The run felt a lot harder than the time I ran suggests. We were going to do a track workout afterwards, but none of us could face it so we postponed it. I hate wearing my phone on my arm, however it is a necessary evil unless I buy a computer that is compatible with my Garmin. 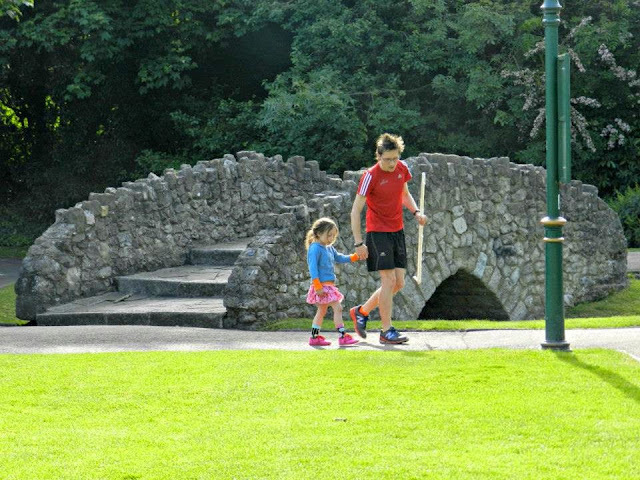 Thursday 28 May marks four years since my first parkrun so Saturday 23 May closed the four year loop. 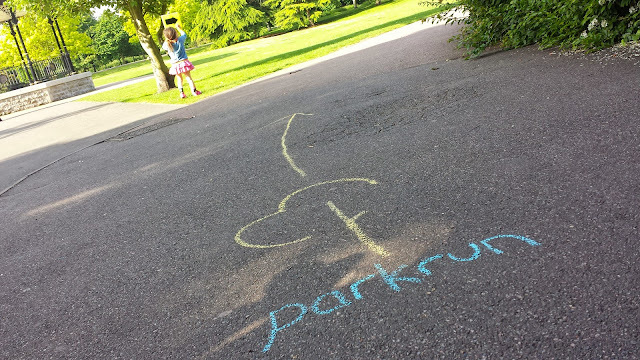 I've made a note of some stats from my first four years of parkrunning. The things above are easy to report on because they are data which is quite cold and hard. The thing that can't be put onto paper are the amount of friends I have made in that time and the amount of great times I have had over this time. Anyway, here's to the next four years!